Autoimmune diseases are now one of the top 10 leading causes of death in women under the age of 65! There are now over 80 illnesses that are caused by autoimmunity or being allergic to yourself. They often cause a chronic and debilitating condition. They come in multiple strange names: Hashimoto’s and Graves’ thyroiditis, lupus, MS, rheumatoid arthritis, psoriasis, Sjögren’s, reactive arthritis, IBD, FMS, and CFS to name a few. 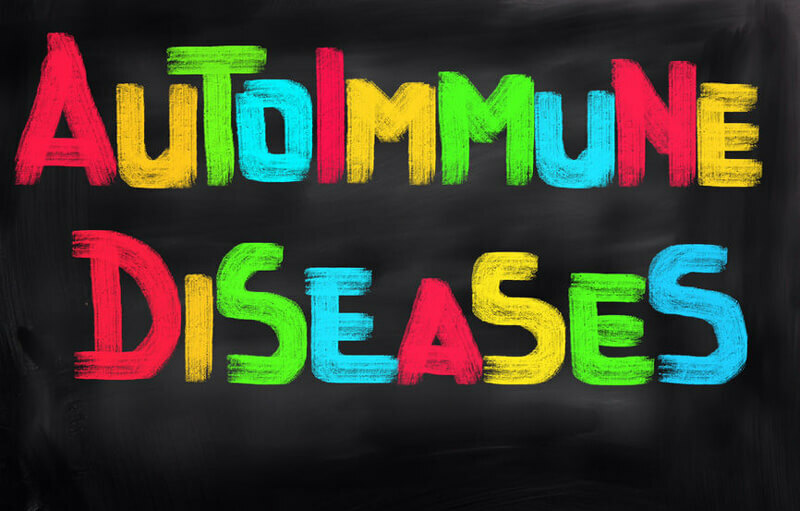 Even though they all are such a common disorder today most individuals with chronic pain symptoms rarely get tested properly for autoimmune disorders. This is a standard test for all my new patients to screen them for the possibility of autoimmune disorders. 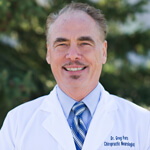 If you are experiencing chronic health problems with a combination of any the following symptoms you may have an autoimmune disorder or disease and need to be properly tested: chronic joint and/or muscle pain, chronic fatigue, difficulty concentrating or focusing, weakness, numbness or tingling in the hands or feet, recurrent rashes or hives, sun-sensitivity, a butterfly-shaped rash across your face, dry eyes, mouth or skin, abdominal pains, blood or mucus in your stool, diarrhea or mouth ulcers, multiple miscarriages or blood clots. Because they come with so many different names there is a misunderstanding that these are separate disease disorders among the medical community and general public. Even though they come with different names and can affect many different organs, at their core they all involve systemic inflammation with an immune response leading to an attack on your own tissue. There is certain evidence that there is an underlying genetic component. However, these multiple genes only get expressed or turned on by specific environmental triggers. An autoimmune response is generated when your immune system overreacts with antibodies when trying to defend itself against potentially dangerous substances such as an allergen, a toxin, and infection, or even a food and it fails to differentiate between foreign substance and your own tissues. With increased antibodies against its own self your immune system wreaks havoc on your tissues and organs. The conventional medical response is to prescribe a drug that suppresses your immune system. This may turn down the inflammatory response and some the symptoms, but it comes at a tremendous cost. Your immune system keeps you safe from cancerous cells and infectious invaders, therefore these drugs do increase your risk for certain cancers and chronic infections. Other common side effects are rashes, G.I. disorders and they can be toxic to the liver or bone marrow. A better approach may be to go after your personal environmental factors that triggered your autoimmune response. A primary triggering event for an autoimmune response is an altered gastrointestinal system that eventually manifests as “Leaky Gut”. Very recent research has now established that this “Leaky Gut” is the primary driver of systemic inflammation and autoimmune responses. Conditions known as SIBO or small intestinal bacterial overgrowth, which not only lead to irritable bowel symptoms but also can damage the G.I. lining leading to “Leaky Gut”. This condition then leads to an up-regulation of your immune system and subsequent systemic inflammation and symptoms. There are specific laboratory tests to identify if you have systemic inflammation, SIBO and a “Leaky Gut”. This all makes sense when we realize that 70% of the immune system lies in our G.I. tract. Once identified there are specific gastrointestinal healing programs that can be implemented to reverse this condition and improve your immune response. This “Leaky Gut” leads to increased food allergies which I find in the majority of my autoimmune patients. I can reduce the autoimmune response by identifying and removing the patient’s food allergies by using a sophisticated Alletess IgG food allergy test for 184 foods. There is a profound link between food allergies and autoimmune diseases, one of the most common one is gluten intolerance. Another underlying factor that can trigger an autoimmune response is when your genetic predisposition is turned on by toxins from heavy metals like mercury and lead, mycotoxins from molds, and chronic viral infections such as herpes simplex and Epstein-Barr. All these triggers must be identified and then removed for you to conquer your autoimmune disease. This can all be achieved with proper laboratory testing.